Below we’ve got a discussion of the starting pitching situation as well as the best teams to use for stacks for Thursday’s 10-game evening slate on DraftKings. We’ve also got projections derived from Dan Szymborski’s ZiPS projections, and we have rankings of the top plays at each position. There are chances of thunderstorms in Ohio tonight, so the games in Cincinnati and Cleveland could see late starts or delays or possibly even postponements depending on the how storms develop and when. Given how often forecasts change between the time this post is written late the night before and when games actually start, make sure to follow @KevinRothWx for updates. Let’s start by discussing Chris Archer, the most expensive starter of the day with a price tag of $10,500. He was also the most expensive pitcher of the day the last time he started, but his price tag was $1,300 higher for his last start. That’s a Kershaw-esque ace price tag, but today’s salary is much more reasonable. However, my model still thinks he is overpriced. That’s because my model is based on the ZiPS projections which have him posting a 3.14 ERA from here on out. Given that his ERA is 2.00 entering his start tonight, that’s quite the disparity. ZiPS also has his strikeout and walk rates from here on out being quite a bit worse than what they have been so far. His strikeout and walk rates to date have earned him a 2.35 SIERA, which is still a far cry from a projected ERA of 3.14. The issue here is that there is a MASSIVE gap between Archer’s performance this year and what he had done previously. His SIERA was around 3.80 in each of the last two years, so ZiPS is still giving him plenty of credit for making improvements, but it still leaves quite a gap between his production to date and his projection. 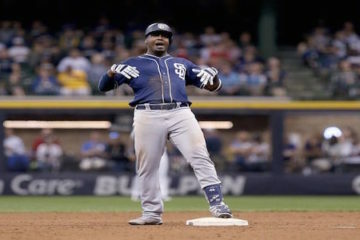 I’m inclined to think ZiPS is being too conservative but is right not to project him to match his SIERA going forward. On one hand, his ground ball rate, first pitch strike rate and swinging strike rate are all significantly better than they have ever been before. But it’s hard to imagine him continuing to be this good because almost no one is ever this good for an extended period of time. That’s a very long-winded way of saying I disagree with my model a bit here and don’t think Archer should be completely avoided today as his value grade in the chart below would suggest. He’s not my favorite play of the day, and maybe his price makes him more of a tournament play than cash. But I’d have no issue with you using Archer today. The better argument against doing so is probably that a lot of other people will presumably have no issue rostering him and thus he’s not as attractive in tournaments if widely owned. My favorite play of the day is Danny Salazar ($9,400). I’ve recommended Cleveland starters each of the last two days against the strikeout-prone Cubs. It worked well on Tuesday when Trevor Bauer struck out seven in seven scoreless innings. It did not work out so well yesterday when Shaun Marcum got lit up for six runs in just two innings of work. But Marcum was a cheap bargain play for tournaments, while Salazar is the top projected pitcher of the day. 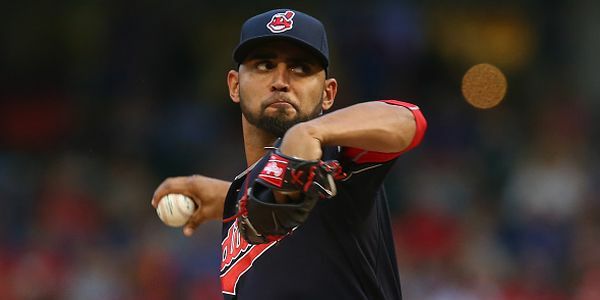 With a 30.9 percent strikeout rate and 6.4 percent walk rate, Salazar’s K-BB% is the fifth best in the league behind only Max Scherzer, Chris Sale, Archer and Clayton Kershaw. Given the 25.4 percent strikeout rate the Cubs have against right-handed pitching, Salazar has a ton of upside in this game. Hopefully the Cubs got all of their run scoring out of the way when they scored 17 yesterday. And hopefully rain doesn’t cause delays and shorten Salazar’s day. Gerrit Cole and Zack Greinke also have projections similar to those of Archer and Salazar. I rarely use two pricey pitchers, so it’ll probably be Salazar and a cheaper option for me in most lineups. But if you’re considering using either Cole or Greinke, my model likes Cole a bit more. I know I spent a lot of time discussing Archer, but I think I still prefer Cole by a bit over Archer, and I think his ownership percentage could be lower than Archer’s. As for the cheaper options today, Ryan Vogelsong ($5,100) has the best value grade of the day. A big part of that is the positive bump he’s getting to his projection because he’s facing Seattle. The Mariners have the third highest strikeout rate against right-handed pitching and the third lowest wOBA, so they’re about as good as a matchup can get for a right-hander. Vogelsong is admittedly risky with his strikeout and walk rates being below average after being almost right at average last year. But you’re obviously not going to find a pitcher in this price range that doesn’t have risk. Doug Fister ($5,700) also has a good value grade today in his first start back from the DL, but you have to wonder how deep he’ll be able to go in his first start back. And when you factor in his 10.3 percent strikeout rate prior to injury, there doesn’t seem to be enough upside to roster Fister. If your idea of a bargain is a safer play than Vogelsong or Fister, consider Justin Verlander ($7,900) and Jeff Samardzija ($7,700). Both have middling matchups in less-than-ideal ball parks, but my model has them being slightly underpriced. They also have the strikeout upside that Vogelsong and Fister don’t. My model prefers Verlander by a hair, but I think ZiPS is a little too optimistic on Verlander, so I prefer Samardzija. Update (2:10 P.M. ET): After building my lineups, I’ve ended up with Salazar and Cole primarily. 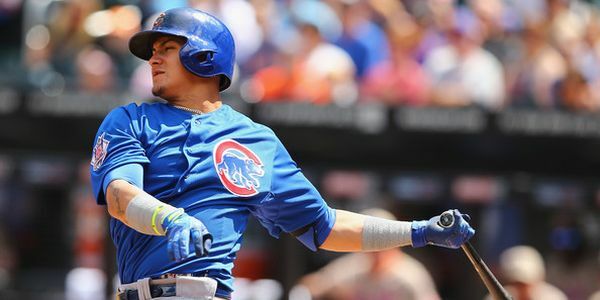 There are few high-priced stud hitters that I’m trying to force into lineups today but plenty of value options. As you’ll see in the player rankings below, there are plenty of hitters ranked with a price tag under $4,000. I still may use Vogelsong some, but he’s probably the only pitcher I’ll roster outside of the expensive guys. I was really considering Samardzija, but there’s supposedly a big wind blowing out to right in Chicago tonight, and given that park is already hitter-friendly, I’ll probably stay away. Here are our projections for today’s starters. You’ll see each starter’s salary, the average number of fantasy points the starter is projected to score per game and how far above or below average his projection is compared to his salary in the value column. You’ll also see adjustments being made for matchup and ballpark. As for the colors, they rank as follows from good to bad: purple, blue, green, yellow, orange, red, burgundy. The only truly obvious stack option of the evening slate per the Vegas lines is the Blue Jays. With a total of nine runs, their game against the Mets is the only game with a Vegas total higher than eight, and the Jays are a pretty big favorite at -150. This should come as no surprise given that they have scored 65 more runs than any other team. The problem, of course, is that the DK pricing model knows how prolific their offense is, and they are priced accordingly. No one on the team has a good value grade today outside of Chris Colabello, who I have little interest in rostering. With no overly attractive cheap starting pitcher options today, I might skew toward the expensive side with my pitchers, and a Jays stack won’t be possible if I do. But if somehow you can afford it, Jays bats make for a good tournament stack. Although not as obvious, the Dodgers are probably a good stack despite their game with the Rangers only having a total of seven. The Dodgers are a -210 favorite with Zack Greinke on the hill, so they figure to do most of the damage. It’s a little unclear as of this writing whether Colby Lewis or Anthony Ranaudo will start for the Rangers, but either way, the Dodgers’ left-handed bats will have a great matchup. 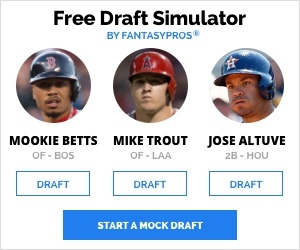 Adrian Gonzalez and Joc Pederson have the second and third highest projections among hitters today, yet they’ll only cost you a combined $8,200. Potentially lesser owned stacks I’m considering are the Reds at home against Verlander and the left-handed bats of the Royals. Both games have a total of eight in Vegas, and Cincy and KC are slight to moderate favorites in those games. But I’m mainly considering them because they each have four or more players with a projection that ranks in the top 50 today. 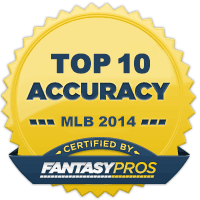 Eric Hosmer and Alex Gordon make for an excellent mini-stack with top notch projections and solid value grades. You can view and download our hitter projections here. These projections are an average of what each hitter is projected to do on a per game basis according to the ZiPS rest-of-season projections. The projections have then been adjusted for splits, quality of the opposing starting pitcher and ballpark. Listen to Brett on TheFantasyFix.com podcast and find him on Twitter @TheRealTAL.